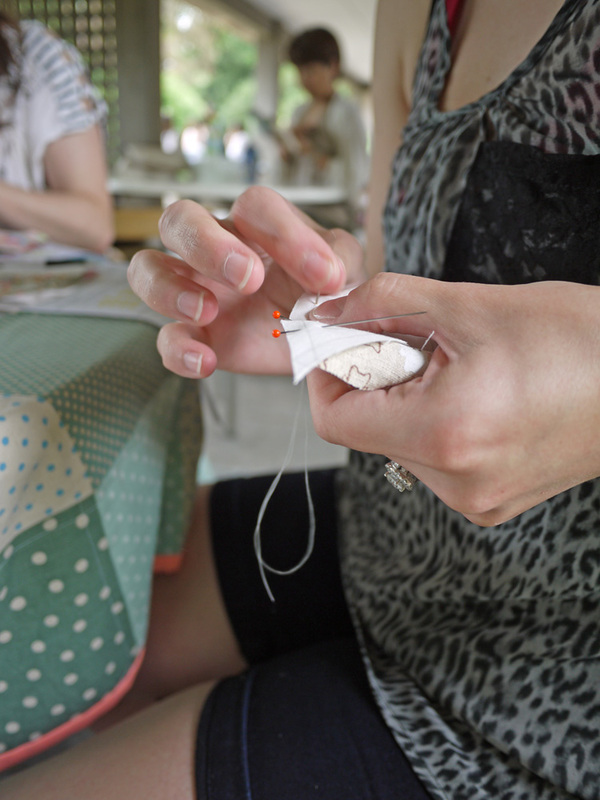 I wanted to share a few photos from our Craft Club in Shinjuku Gyoen this past weekend. For those who are curious (and I know you are! 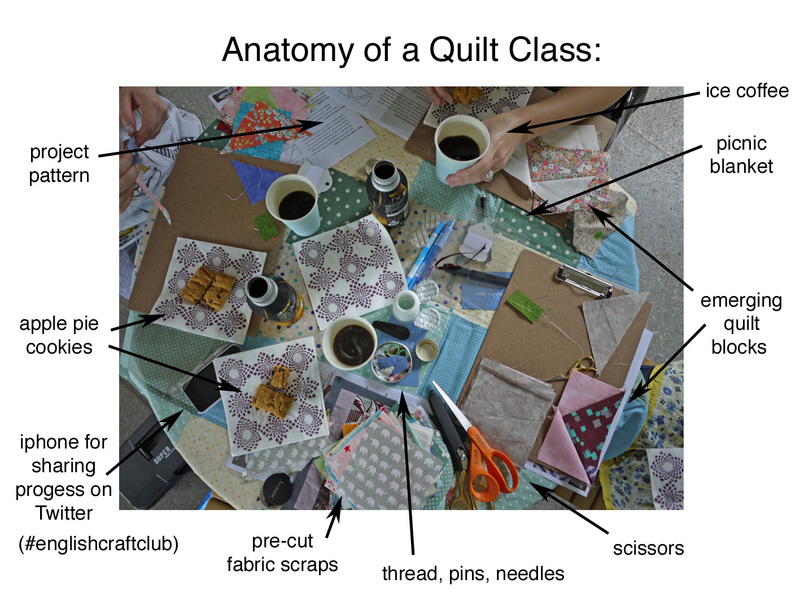 ), in a rare tell-all moment, the inner workings of a quilt class are finally revealed. She’s lifting up her skirt and showing you everything, that dirty little quilt class. 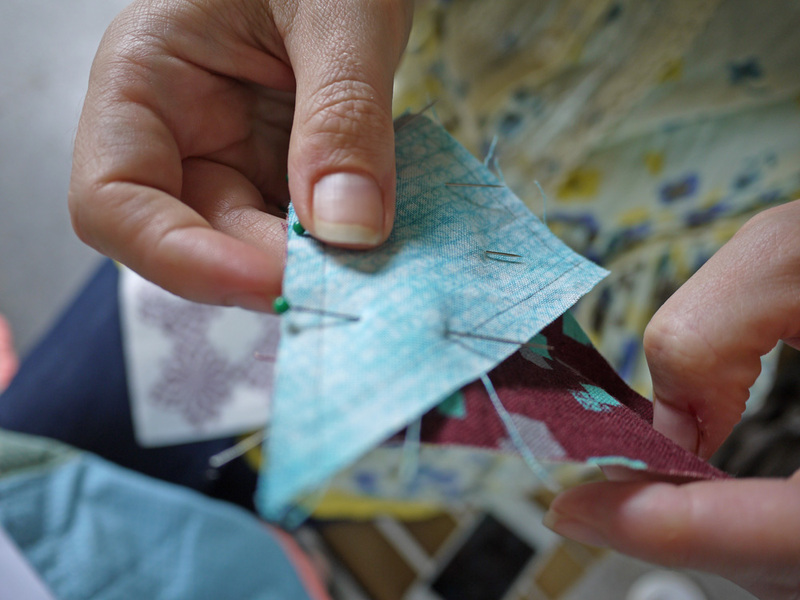 The true secret to a great quilt? Ice coffee. Always coffee. 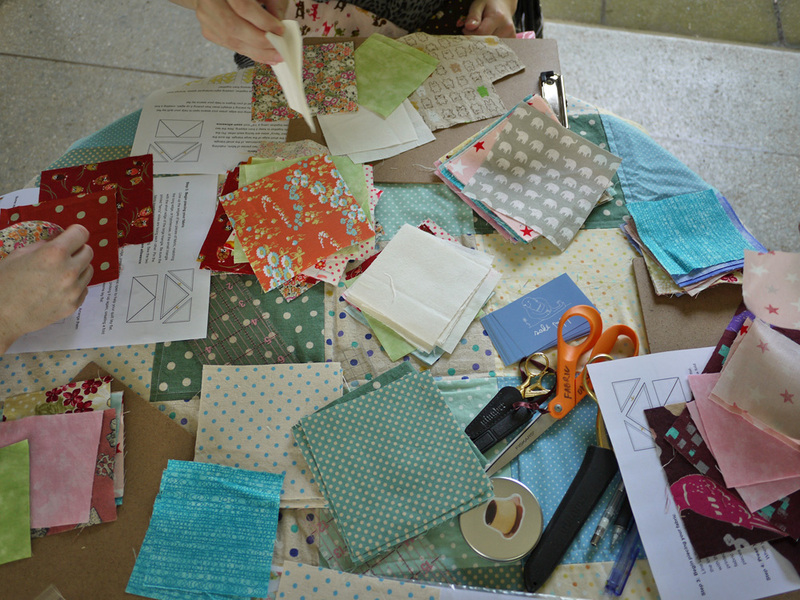 Everyone in class was planning to do something different with their quilt blocks: some were keeping them for a larger quilt, another was making a pillowcase, and one person decided maybe she’d like a coaster-sized quilt block rather than a placemat. 🙂 I attached mine to a tote bag. 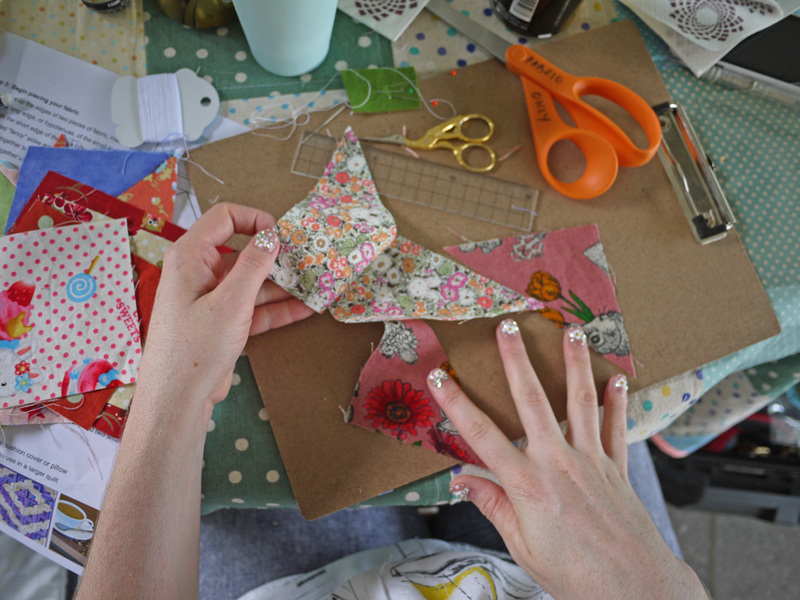 I decided this Flying Geese pinwheel looks like the geese are stuck in a tornado. 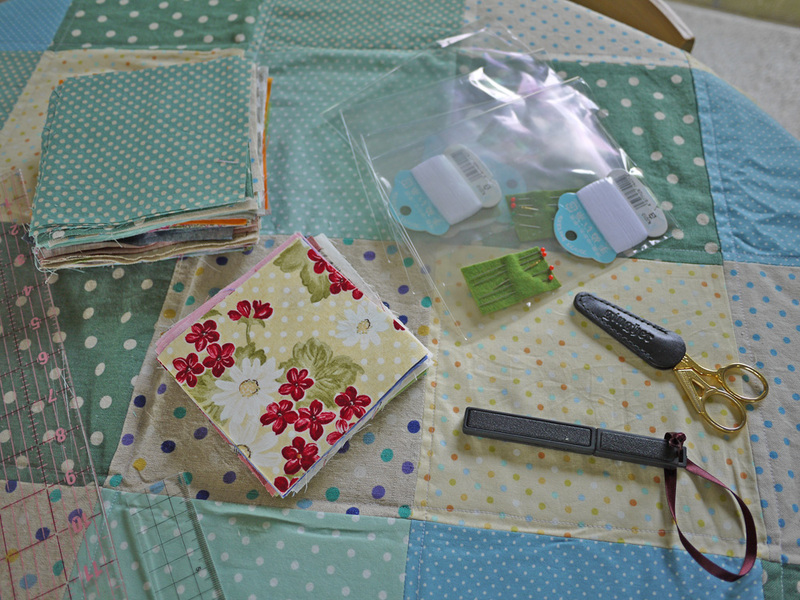 This entry was posted in Crafts and tagged DIY, English Craft Club, flying geese, ice coffee, quilting, Shinjuku Gyoen. Bookmark the permalink. 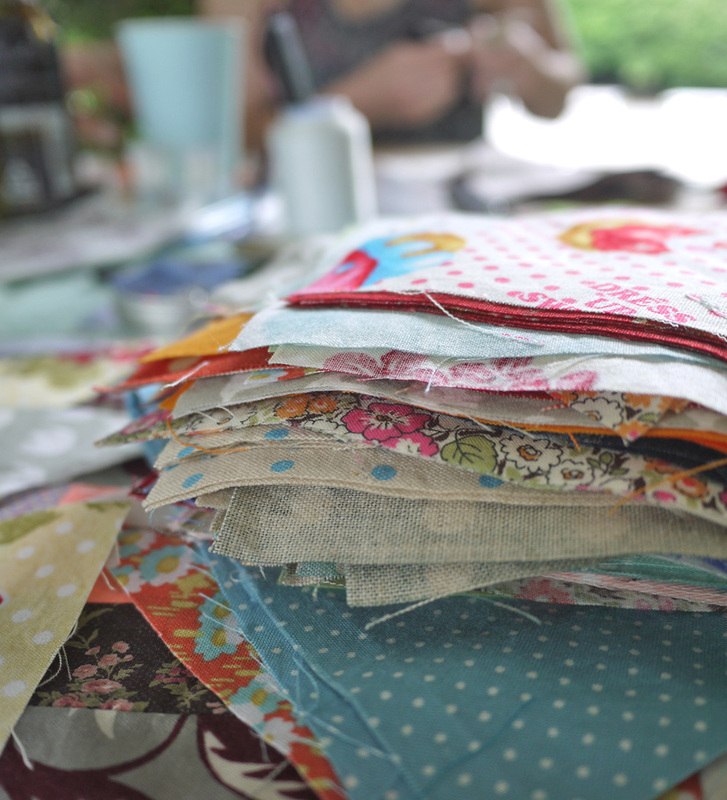 ← E-zine giveaway winners, & a Craft Club reminder! 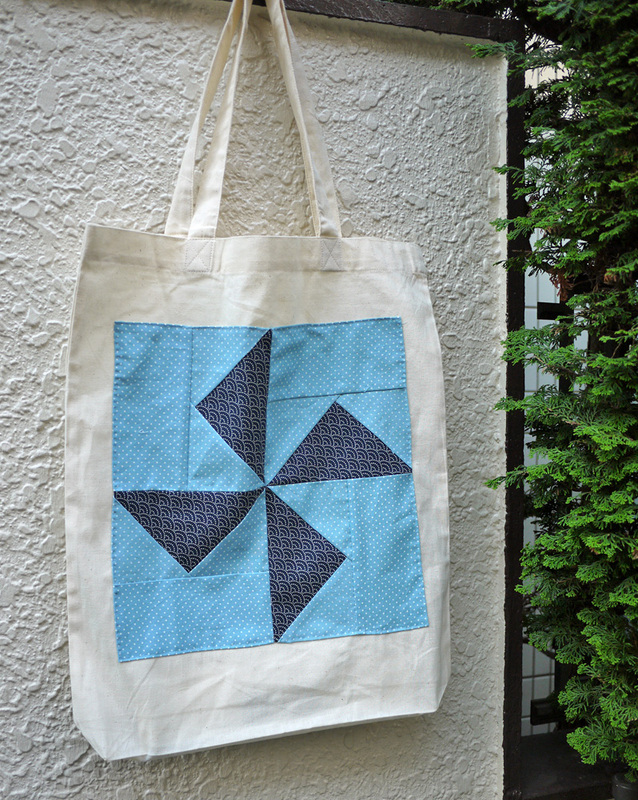 I love how that pinwheel looks on the tote bag! I enjoy reading your clever and humorous notes all way in california!